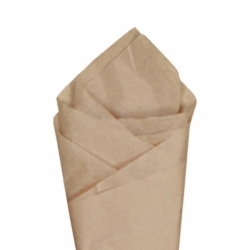 Tissue paper and paper shred are the perfect packaging accessories for retailers, restaurants, and holidays and special events. 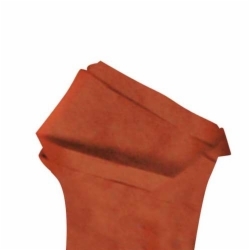 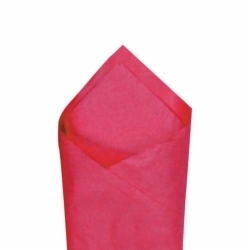 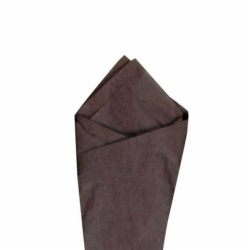 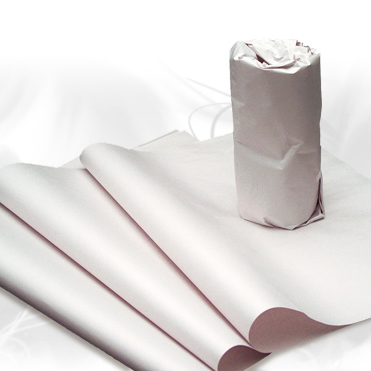 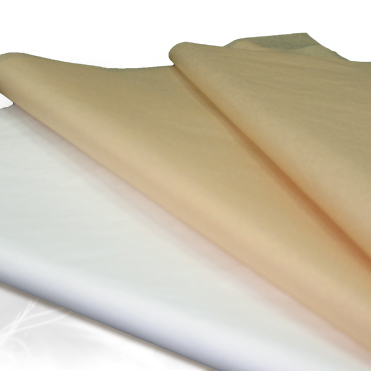 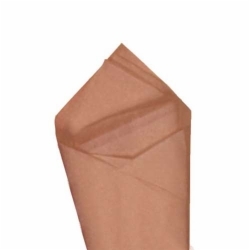 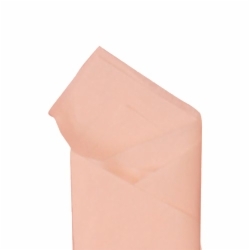 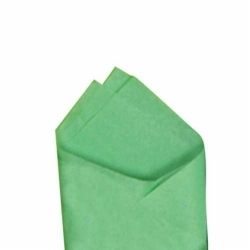 Our SatinWrap tissue paper is the highest quality tissue paper on the market. 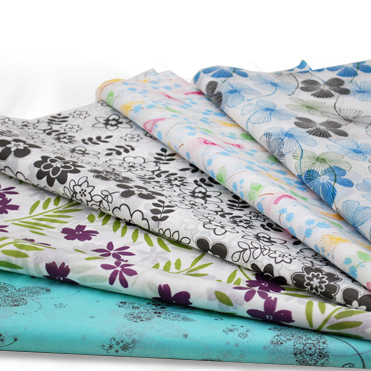 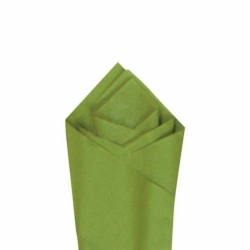 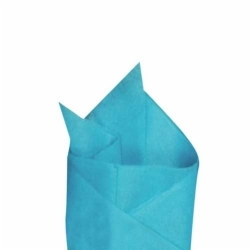 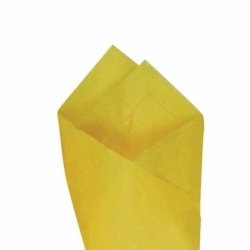 Our tissue paper is durable and smooth, with crisp edges and vibrant colors and designs. 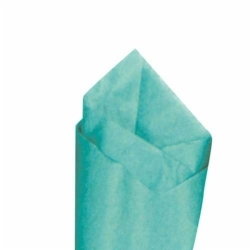 Available in over 65 solid colors, along with over 100 design prints and special finishes, we have all the tissue paper you need for your gift or retail packaging. 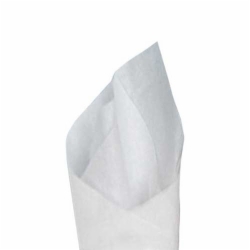 White and natural kraft tissue paper is also available for the perfect subtle accents. 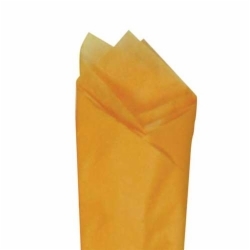 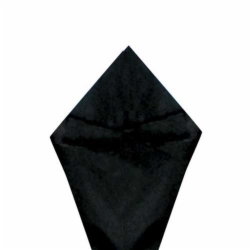 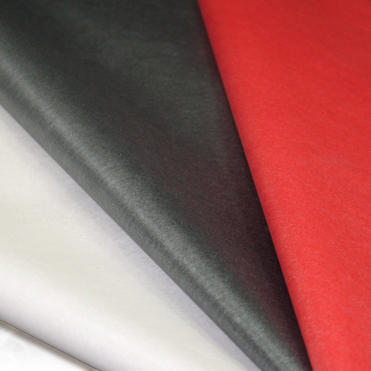 Tissue paper comes in bulk quantities at low wholesale pricing that is affordable and convenient. 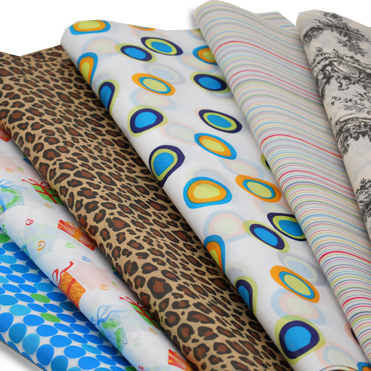 We know that our tissue paper selection stands out among the rest. 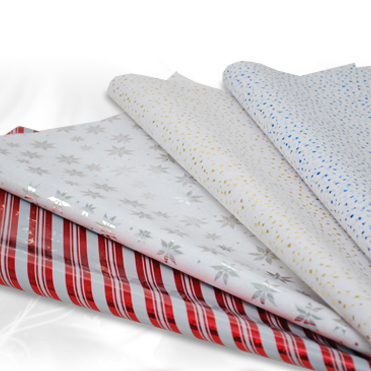 Our premium quality tissue paper is available in an array of design prints including holiday and Christmas prints, floral prints, polka dot prints, birthday prints, and sophisticated prints. 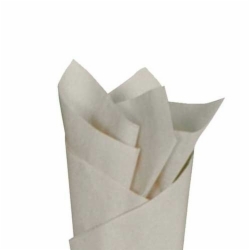 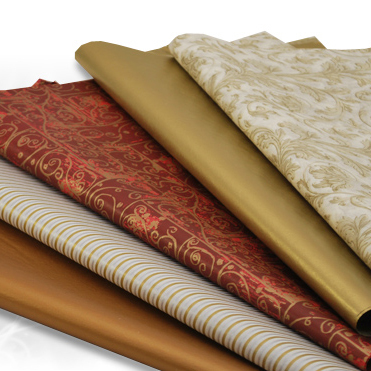 These tissue papers are ideal for luxury retail, boutiques, spas, salons, weddings, holidays, and much more. 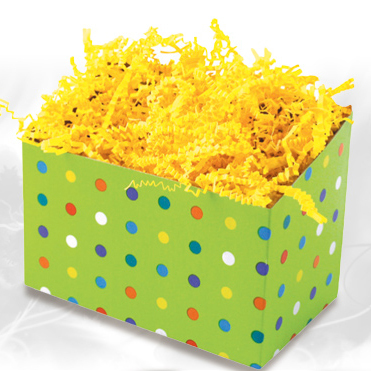 For an easy-to-use box or basket filler, our accordion crinkle cut paper shred provides vibrant color and supreme fill capabilities. 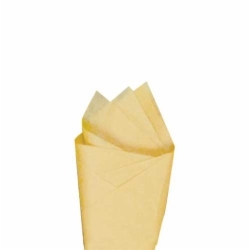 This tissue shred allows you to fill baskets, bags, and boxes with ease and add color and style at the same time. 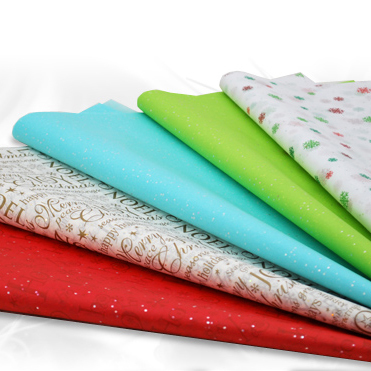 Our accordion paper shred is available in 18 colors and provides cushion and fill without sacrificing style. 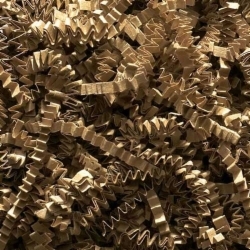 Crinkle cut shred is an eco-friendly option that is made with recycled paper materials. 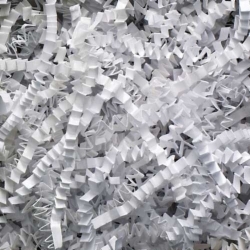 This paper shred requires no fluffing or manipulating, and is ready to use upon arrival. 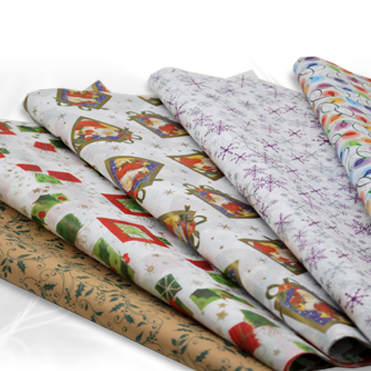 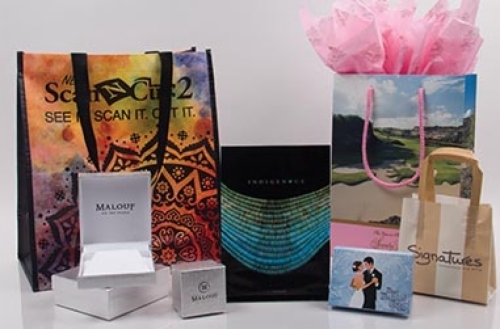 Enhance your retail and gift packaging with the perfect tissue paper or paper shred. 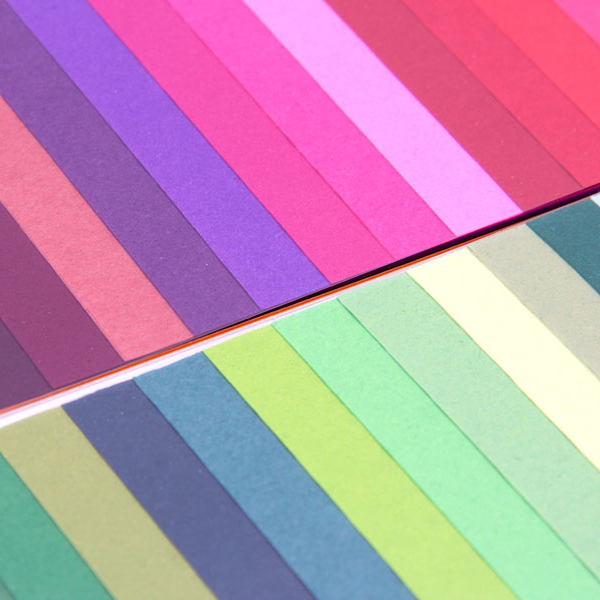 Mix and match colors and patterns for inspired combinations and create a complete packaging program for your business. 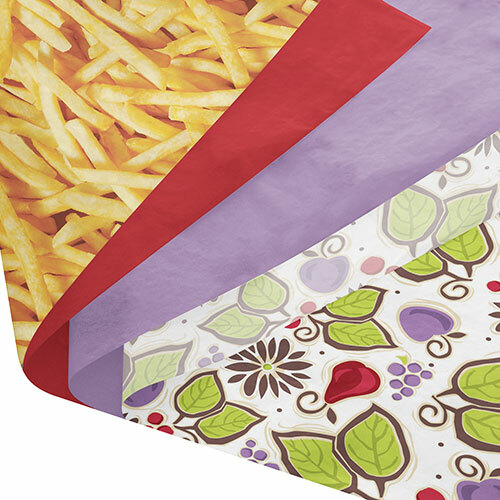 These tissue paper options look amazing paired with our natural kraft and design printed paper shopping bags.